Following the concerted effort of the tourism industry to promote Darjeeling oranges, this sought-after fruit from the hills will be endorsed for the first time through a fashion show by Siliguri-based designer Alka Sharma and models from north Bengal. Alka, who has been constantly promoting tourism in north Bengal and Sikkim through fashion shows in various events, will showcase her designs at the OrangeFestival at City Centre in Salt Lake, Kolkata from December 2-4. Ten female models including married women will walk the ramp to promote Darjeeling oranges beside the region’s tourism sector. "The theme of the Kolkata fashion show is Eastern Himalayan Fusion. The apparels are a perfect amalgamation of ethnic with modern styling highlighting orange growers from the hills. The dresses echo the ethos of the Eastern Himalayan region, its cultural diversity and rich heritage. The models will walk the ramp carrying orange baskets and wearing attire typical of their region. Through this show, we wish to bring to the limelight the beauty of ethnic apparel infused with a hint of modernism," said Alka. 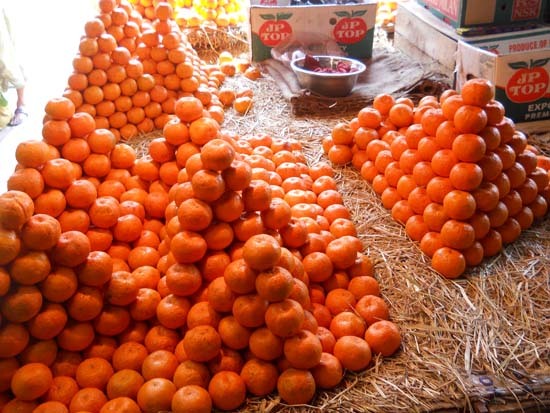 The second Himalayan Orange Festival is being organised by the Association for Conservation of Tourism in association with City Centre, Kolkata. The event will also have stalls from north Bengal, Sikkim, Bhutan and Nepal selling oranges and other traditional food items followed by folk dances and musical performances from these regions. Following the concerted effort of the tourism industry to promote Darjeeling oranges, this sought-after fruit from the hills will be endorsed for the first time through a fashion show by Siliguri-based designer Alka Sharma and models from north Bengal.OrangeFestival at City Centre in Salt Lake, Kolkata from December 2-4.